It's Stillwater's first new hotel in 23 years. Stillwater continued on its recent trendy streak with the opening of the Lora Hotel in its downtown. The $13.5 million hotel, the first development for Portland, Oregon-based Provenance Hotels, opened its doors to its first guests on Monday. The project has already won acclaim from Architectural Digest, which named it among its "15 Best-Designed Hotels Opening This Summer." 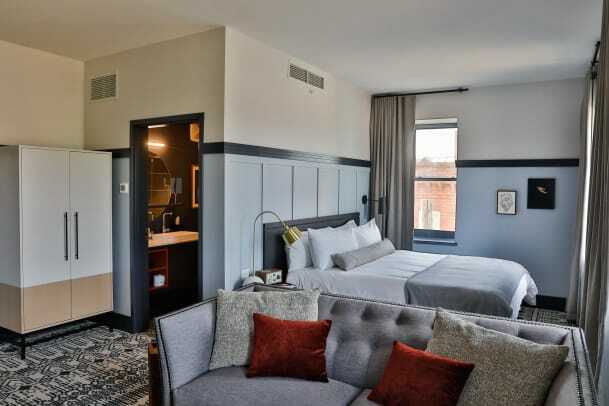 That&apos;s in no small part down to the efforts of Minneapolis&apos; ESG Architecture & Design, which has transformed buildings that formerly housed the Joseph Wolf Brewery into a 40-room boutique hotel that abuts the stone cliffs at the end of Main Street. It still retains much of the 1886 brewery&apos;s original features, including natural limestone walls, carriage passageways, and exposed wooden beams. It&apos;s also home to no fewer than three food and drink outlets, including the full-service restaurant "Feller," the coffee and juice bar "MADE," and craft cocktail bar called "The Long Goodbye." 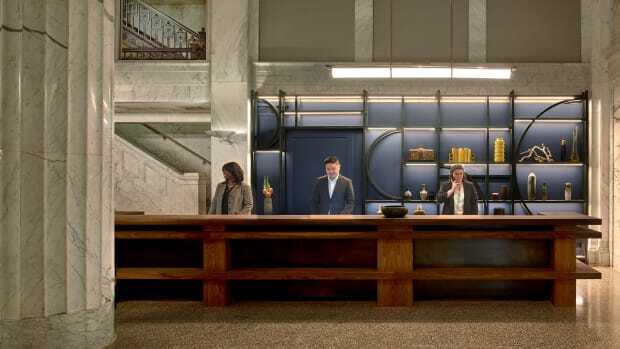 Provenance Hotels says "The Long Goodbye" is a cheeky nod to the famous "Minnesota goodbye." Minnesota is a theme that runs throughout the hotel, despite its Oregonian origins, with guest beds topped with Faribault Woolen Mills blankets, while honor bars are stocked with Annie B&apos;S Caramels and Old Dutch chps, among other local brands. – Minnesota man killed by falling tree, woman and 2 kids injured. – Twin Cities couple get their own renovation show on HGTV. – SIGN UP: Subscribe to our daily newsletters. Local alcohol brands for sale in the hotel include Lift Bridge (obviously) as well as efforts from local distilleries. You can check out its selection of rooms and suites on its website, but be warned that it&apos;s not a cheap stay – its introductory room rates start at $275-per-night. The 40-bedroom hotel called Lora opens next month. The North Loop hotel has an enviable view of downtown Minneapolis. It claims it would make it Minnesota's largest resort. The rebranded hotel opens its doors on Wednesday. Many had their passport numbers compromised. The 149-room hotel opened in September on the banks of the Mississippi. Next time you take a trip to Mall of America, you might as well stay for the night.